Albeit controversial - horse oil is one of my favorite skincare ingredients. I discuss, in detail, the benefits of horse oil in my review of the Guerisson 9 Complex Essence, if you're interested in learning more. 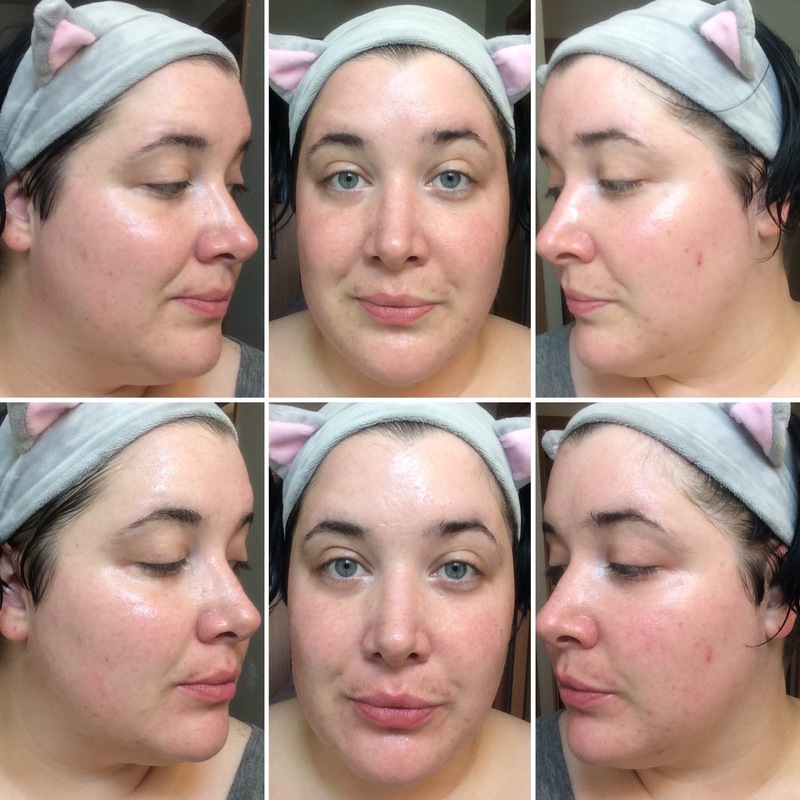 But for the sake of keeping things simple and easy to read - I love horse oil because it's beneficial to acne prone skin - like mine - and is the closest to human sebum than any other animal fat. What does this mean? Well, it means that it's perfect for balancing your skin, and absorbs nicely due to it's fatty composition. Horse fat is a by-product of the horse meat industry by the way. I know this is still disturbing for some to hear, but I just want to point out that horses are not killed for their oil for beauty products - they are sold for meat in certain countries and their fat is rendered at a by-product to utilize more of the animal. Waste not, want not! So now that's I've gotten all the juicy details out of the way - I'll introduce the centerpiece of this discussion, which is the Choonee Horse Fat Rejuvenating Mask Pack. This mask was generously sent to me by BB Cosmetic - who I've noticed carries more than just a handful of items from my wishlist. And not only do they offer very competitive pricing, but I've been very pleased with their service thus far as well. This mask has been on my Amazon wishlist for quite some time now, but I never got around to clicking that order button... So I was fighting to withhold my excitement when it was offered to me for review. As I mentioned above, anything horse oil is all the rave in my skincare wardrobe right now, so this couldn't get on my face quick enough. 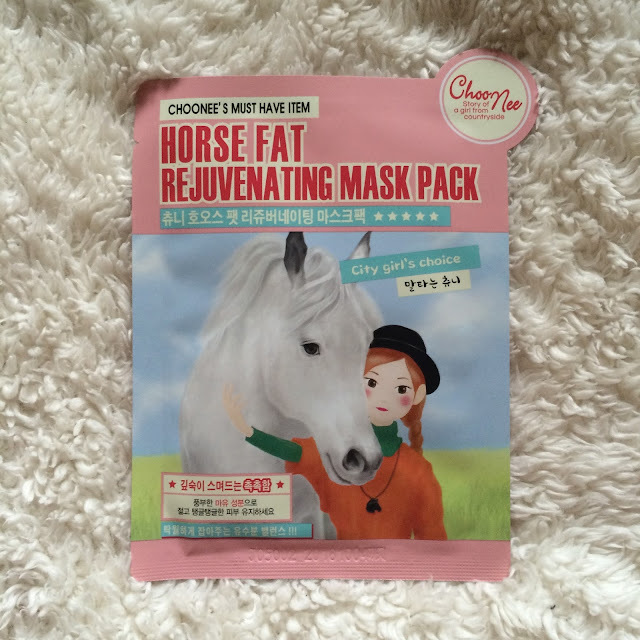 Aside from horse fat (100ppm), this mask also contains collagen for plumping fine lines and several plant and herb extracts for soothing and hydrating the skin. The essence is clear, thick like a serum and smells like herbs and fruit - herbal citrus maybe? It's good, not overwhelming, and disappears once on the skin. 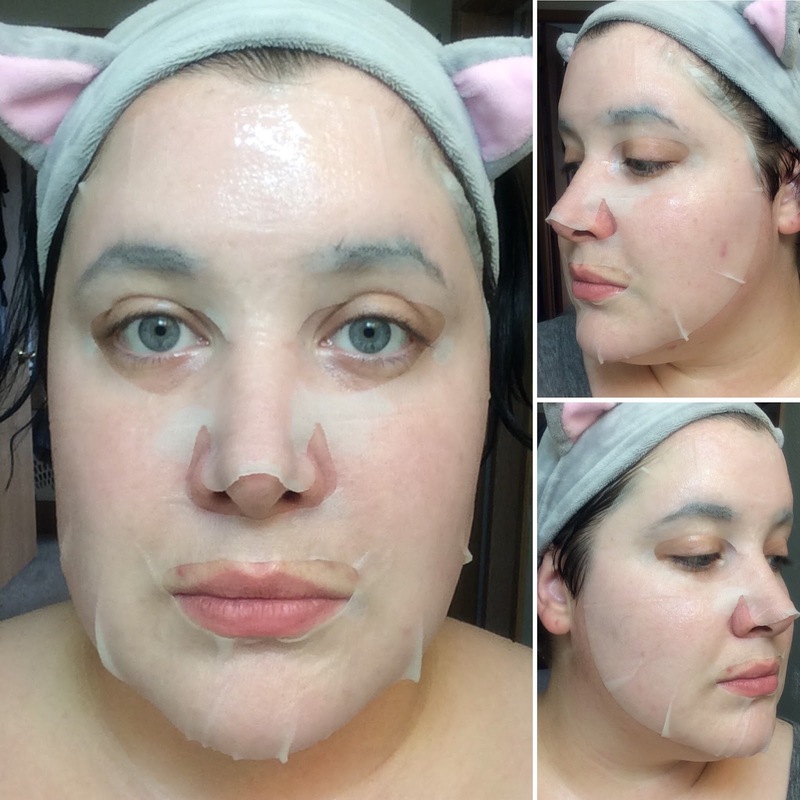 The mask is like a cotton mesh - soft with a small amount of stretch to really get around the form of your face. There's a nice amount of essence left over once the mask is applied as well - I like to smooth it between my hands and pat as much as possible onto the mask, then apply the rest to my neck, decollete, and arms if there's even more after that. The mask itself offers a pretty nice fit! I get coverage from the top of my forehead to the bottom of my chin, and to the edges of my face on either side. I have a small gap on either side of my nose which is normal for almost all masks. 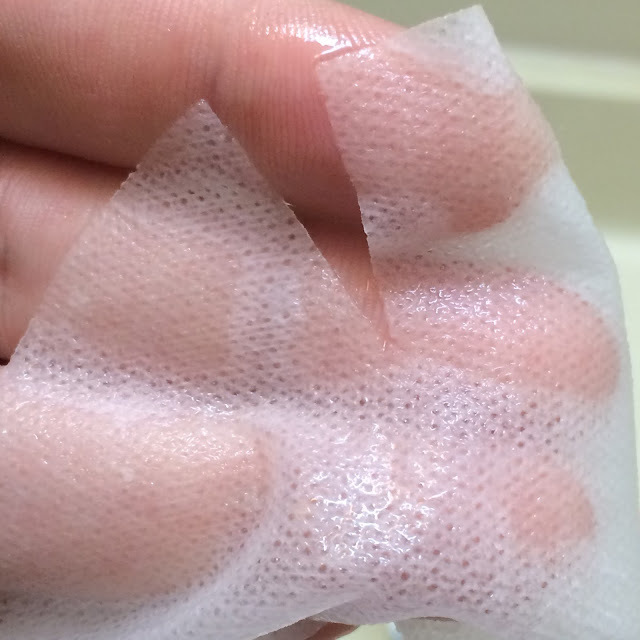 This mask stays damp for around an hour - I try to remove around 45 minutes to prevent any drying from prematurely sucking any moisture back out of my skin. Afterwards my skin is hydrated and plump - definitely bouncy and has a nice healthy glow to it. There is a small amount of pink to my skin, which I contribute to the mild cooling effect I feel - and I really mean mild, most likely from the peppermint in the ingredients list. A very nice mask that I'll definitely be using more of in the future - I can't wait to try more varieties from Choonee now as well! I want to note that this post does contain an affiliate link below. If you click these links and make a purchase, I will receive a small commission. This is what helps fund this blog and everything I do here - including purchase review items and host giveaways. 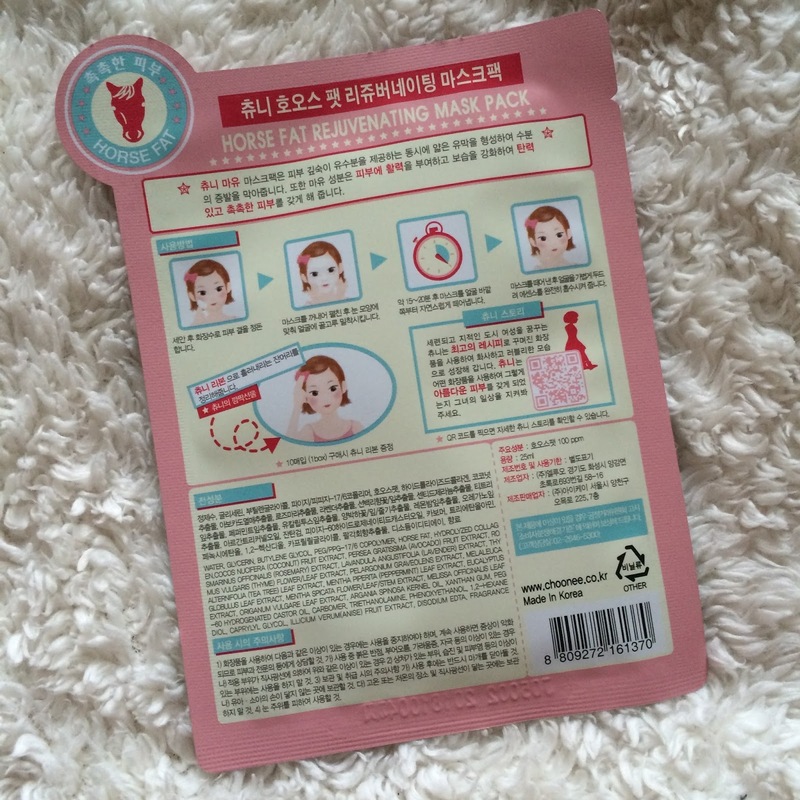 You can of course find this mask (and other Choonee masks) on BB Cosmetic - as well as Amazon. Didn't know that Horse Oil was good for acne prone skin! Might have to try and get over my aversion to it now. Such an interesting ingredient. As a meat eater, I consume hot dogs each year as a waste not want not way to justify my pork chop and steak consumption lol.